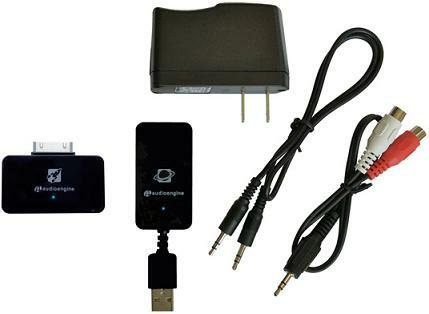 Audioengine W2 (AW2) premium wireless transmitter adapter for Apple iPod with 30 pin connector - send music wirelessly from your iPod (using the transmitter pictured) to to any music system (connected to the receiver included). AW2 provides CD quality stereo sound with no reduction in audio quality. 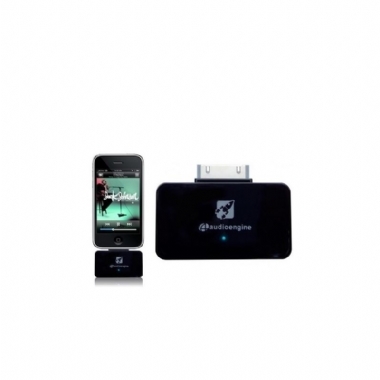 Unwire your iPod with the Ultimate Wireless Adapter! Plug the digital Sender into your iPod and connect the included receiver to your stereo and you’ll have complete control of your music from your iPod. No need to learn how to work a separate remote and the AW2 is super-easy to hook up, with no batteries needed. And since you control everything right from your iPod you'll never have to lose another remote in the couch or go to a base station to change volume or songs.